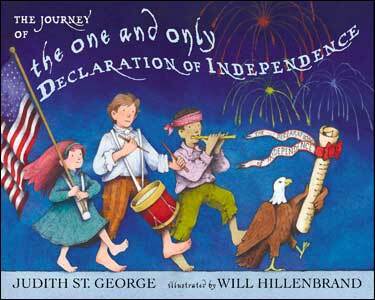 Are you looking for great books on the Declaration of Independence for kids? So are we. :) Below are some excellent choices for introducing this important document to your students. Our list is short, but we're scouring the library shelves, the bookstores, the internet....looking for more great kids book on this important subject. If you know of one that we've overlooked, please let us know by clicking the link in the right hand column. We love getting book suggestions! 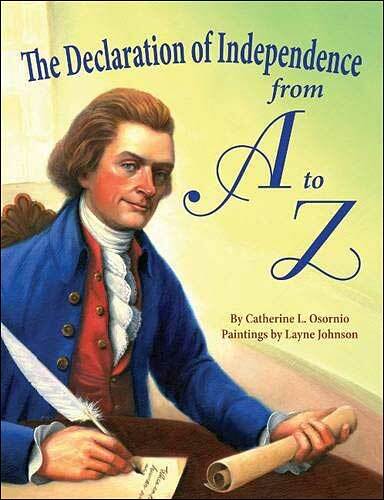 Using an alphabet book format, this title touches on a range of events leading up to the Declaration of Independence and its subsequent impacts (ie: A is for America, B is for Boston Tea Party, C is for Continental Congress...) This title isn't a straightforward description of the document, but would be a great supplemental or review title for teaching the Declaration of Independence for kids! In our view, it's the illustrations that steal the show. We guarantee many of Layne Johnson's vibrant, beautiful illustrations will make you feel downright patriotic! 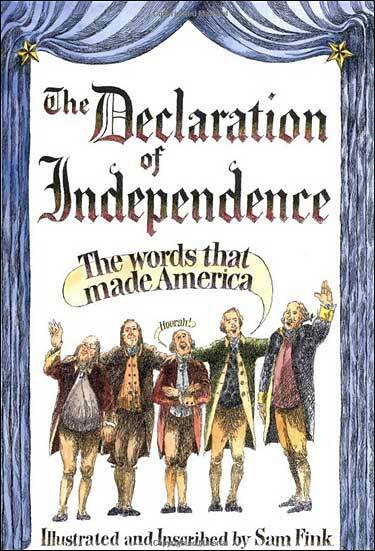 This highly illustrated title presents the Declaration of Independence in kid- friendly portions, with each phrase from the Declaration paired with funny and educational illustration that illuminate the meaning or cleverly highlight the phrase. For example, a spread about the king being a tyrant shows an illustration of empty throne, with a note from the king saying that he is at Advanced Tyranny class. We wholeheartedly agree with the review that called this "a fabulously readable surprise! " If you are teaching the Declaration of Independence for kids, this "clever and inspiring" (Publisher's Weekly), is just what you need to get your students engaged. It's quite amazing that one person can generate this many fabulous history non-fiction books! In this title, Russell Freedman succeeds again, weaving drama and tension into his recounting of the events that lead up to the drafting of this document. He also covers key people and events, as well as the role and impact on larger groups like women and slaves. 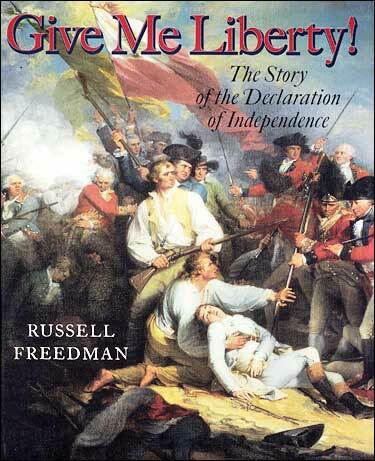 If you are teaching the Declaration of Independence for kids in the upper grades, this is a great resource. We need more books in this category! Can you help? We had three additional books listed, but then we deleted them since they weren't "best children's book" caliber. Now we really need to more! If you have books to share, please let us know!